The stove will burn wood and/or biomass without the need for extra fuel. Which means you can burn whatever is available in the area, as long as you’re somewhere where you can find burnable things. This wouldn’t be too handy in an arctic tundra, for example. It is meant to be easily portable and only weighs 15 oz. 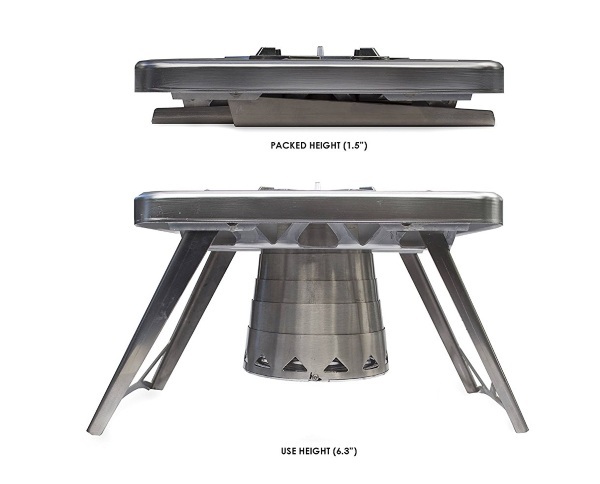 The legs provide stability and the top is a working surface. 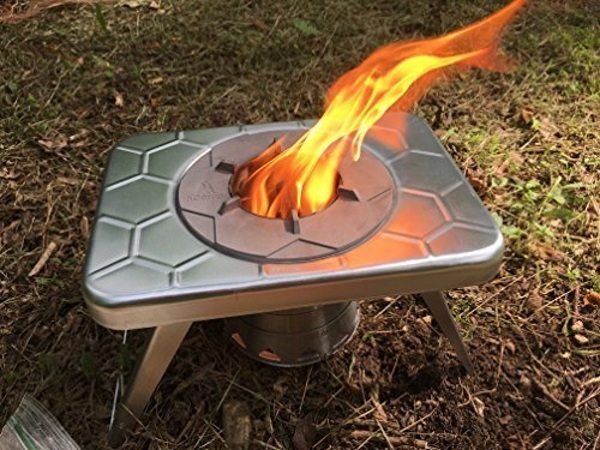 It’s a solid little camper stove for cooking while in the great outdoors. It takes about three minutes to boil one cup of water and only takes a few minutes to get started, not counting the time spent looking for fuel. You can get one of these for $59.99.